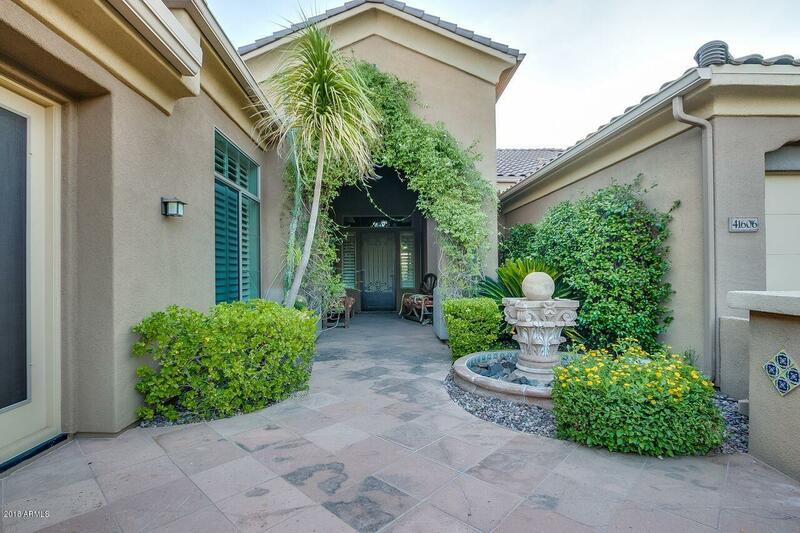 Check out this outstanding 5 bedroom, 4.5 bath home, with rare CASITA / GUEST HOME, located at the end of private cul-de-sac block in gated Anthem Country Club! 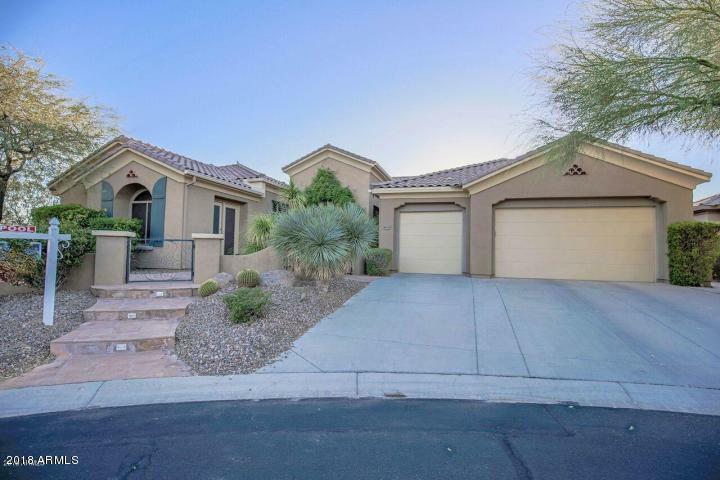 Home backs up to deep wash so you can enjoy your resort style backyard, desert views, and sunsets with total privacy. 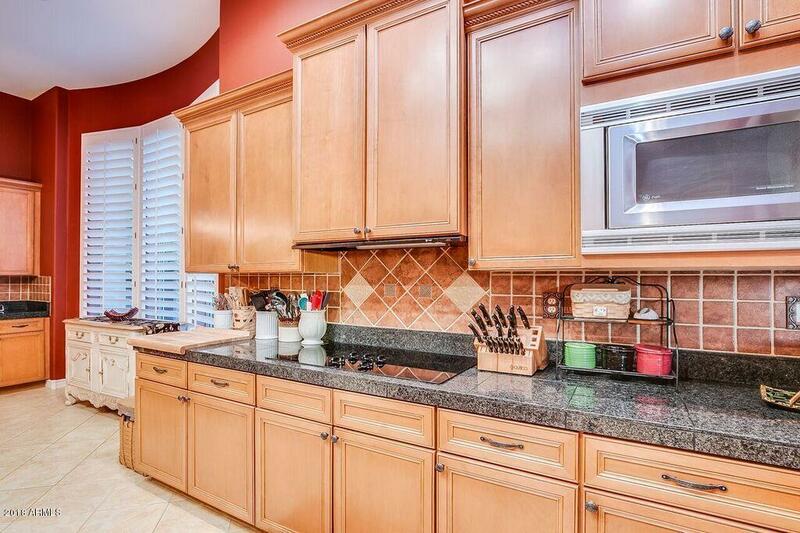 This gorgeous home boasts over 4500 sq. 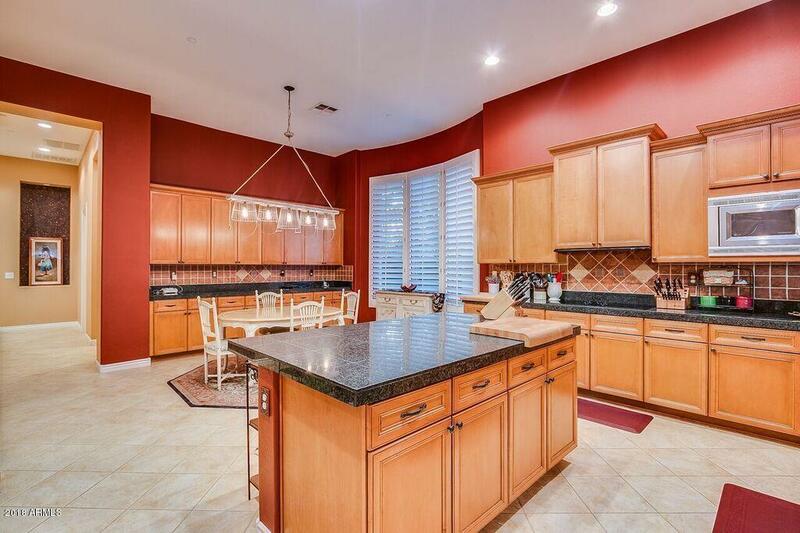 feet of living space, plantation blinds throughout, a theater room with 100'' screen, theater chairs, and surround sound. Existing theater equipment to convey to buyers, along with pool table! Like to host?The backyard is an entertainer's dream! Enjoy the custom designed heated pool & spa, sheer descent water feature, BBQ with refrigerator, and custom ramada set around a gas fire pit. Perfect for hosting family and friends, year-round! Schedule a time to view this home today! Cross Street Congressional Dr. & Wolf Run Dr.